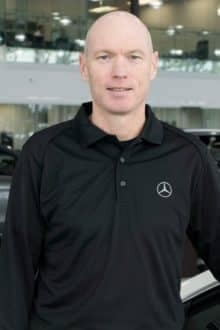 As the General Manager of Mercedes-Benz London, Rob brings an incredible wealth of knowledge to the position. 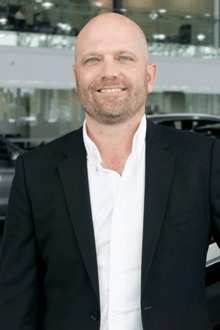 The son of Gary Stockie – the founder of Kitchener’s Gary Stockie Motors – Rob’s tenure in the family business commenced at a young age and, as a result, he has benefited from experiencing all of the different aspects of the business. 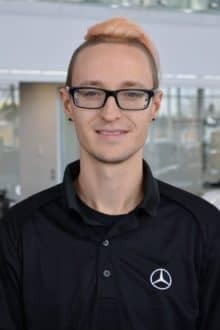 Rob also supplemented this experience by obtaining a diploma from the Canadian Automotive Institute at Georgian College. 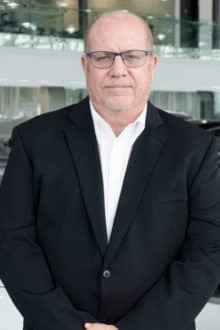 As such, he has developed a strong knowledge of the automotive industry and an understanding of how to deliver upon all of his customers’ needs. 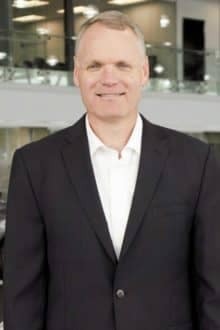 In his brief time away from work, Rob enjoys playing hockey and golf and spending time with his daughter. 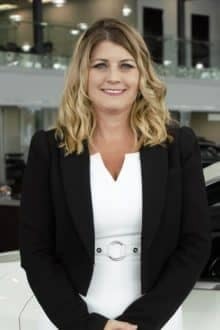 Shannon Maloley is the VP of Business Development for the Finch Auto Group and she brings with her a wealth of experience, having been in the automotive industry since 2000. 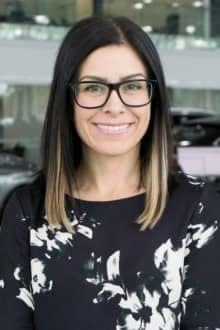 After obtaining a 3-year diploma in the Child & Youth Worker program at Fanshawe College, Shannon embarked on her long road in the auto industry which eventually led her to us. 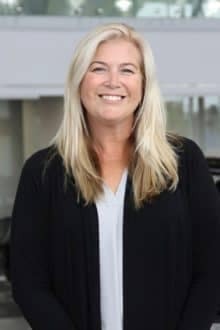 Before joining our team, Shannon spent seven and a half years working for Strickland’s in Stratford, commuting from her home in London every day. 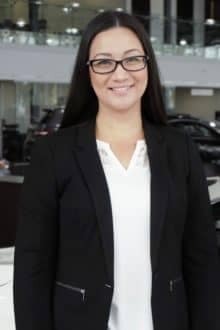 Her position within our Auto Group allows her to work closer to home and to spend more time with her family, including her husband Scott and her two sons, Owen and Carter. At the same time, Shannon still strives for a high level of performance within her career, which is another goal that she is able to achieve as a member of the Finch family. 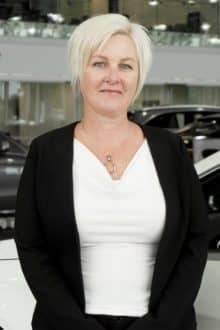 Away from work, Shannon enjoys a wide range of activities including dinner parties with friends, exercising, travelling and, of course, spending time with her husband and children. She is also a supporter of the Canadian Cancer Society, holding cancer as a cause close to her heart. At the end of the day, Shannon is inspired by those around her as she watches how small actions can have a big impact. She has always enjoyed helping others and finds great pleasure in helping people to achieve their goals. She has an optimistic outlook in all situations and she believes that a smile can go a long way. It is because of all of these great qualities (and many more) that Shannon is a tremendous asset to our team. 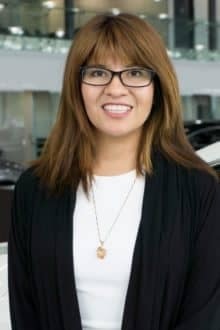 As a member of the Finch Auto Group team since 2002, Danna Dejong has done so much to make her the perfect VP Community and Employee Relations. With an outgoing, friendly nature and a great sense of humour, Danna is great at communicating and connecting with everyone with whom she comes into contact. Danna and her husband Gord have three wonderful children – Travis, Tayah and Teagan – as well as a crazy yellow lab named Tango. 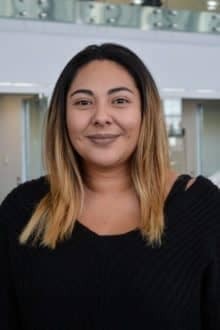 Danna loves spending time at home with her family, although she also enjoys the time that she is able to spend with her work family. Danna has always believed that it takes a community to raise a child. For this reason, she like to remain very involved in her home community of Dorchester. Since her youth, Danna has always been inspired by those that perform acts of kindness to others and she always looks for opportunities to pay it forward. 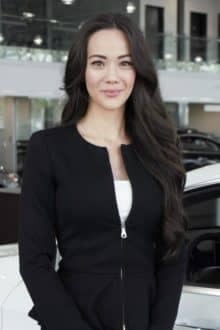 Her compassionate attitude is sure to improve the quality of your Finch experience. 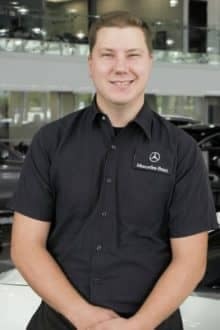 Service Advisor Mike Maric having joined the team here at Mercedes-Benz London in 2011 after successfully wrapping up his post-secondary education. Since then, he has become a favourite with his co-workers and customers alike. 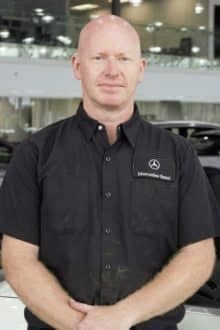 Mike attended the Automotive program at Fanshawe College where he was well prepared for all of the duties and responsibilities that takes on for our dealership. 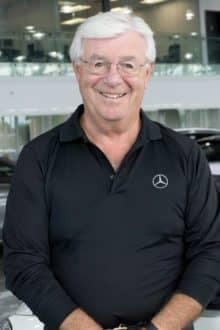 Mike’s lifetime automobile enthusiasm make him a perfect fit here at Mercedes-Benz London. 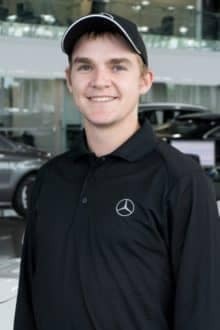 In his spare time, Mike enjoys hanging out with his friends, working out, playing sports, and doing anything car-related. 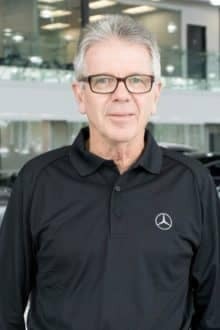 He is also a proud supporter of the MS Association of Canada and a number of charities involved in the fight against cancer, as he has a close connection to both of these important causes. 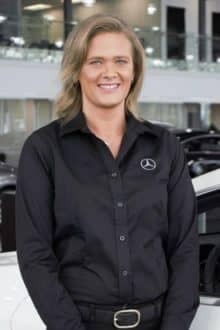 Katrina has been a part of the Mercedes Benz team since February 2015. 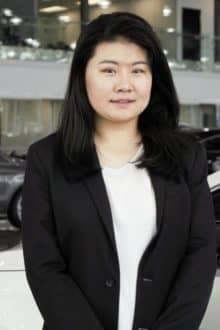 Prior to joining the team, she spent the best part of the decade working in finance. 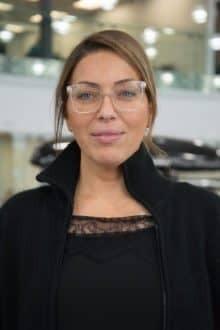 She was drawn to the Mercedes-Benz London because of its world-class customer service and the family-like employee atmosphere. For Katrina, the team is about as close to a family as one can get away from home. The team has a great time together and it shows! 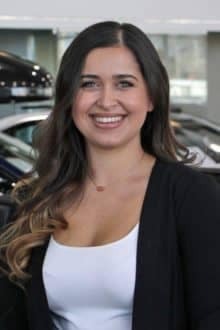 The customers are always commenting on the fun and friendly vibe at the dealership. When she’s not enjoying her time at work with the dream team, Katrina spends time adventuring with her partner Michael and their four children. They have three boys and one daughter, so their home is always busy and active, with the weekends spent at the hockey arena. Other than that, Katrina enjoys trying new foods, wines, live comedy and traveling with her family when she gets the chance. 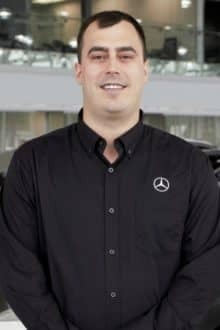 As a loyal employee of Mercedes-Benz London since 2003, Service Advisor Markus Widmer quickly became an important part of the Mercedes-Benz London team. It surprised no one, then, when he was promoted to the position of Service Manager in late 2015. 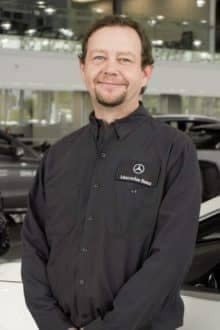 Markus has worn a number of hats throughout his tenure at our dealership. 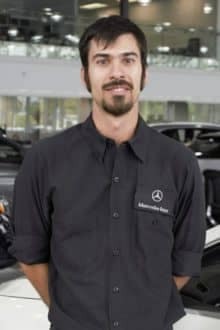 He spent his first few years with the dealership working in the parts department before being designated as a “floater” who splits time between parts and service. 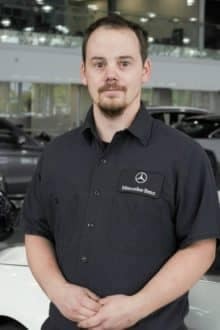 Eventually, Markus moved on to a fulltime service role in 2008 before eventually making the jump to Service Manager. During his free time, Markus enjoys spending time with his wife and three young children. He is also a successful soccer goaltender in a local recreational soccer league. team. 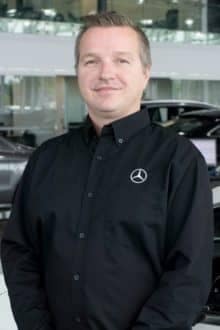 Prior to starting off with MB London, Kevin spent an additional five years in the automotive sector, meaning that he has an unbelievable wealth of knowledge and experience. 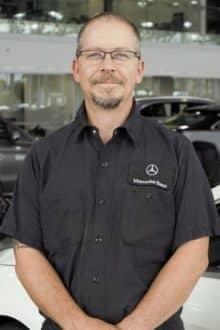 As a graduate of the Parts Management program at Fanshawe College, Kevin clearly had a passion for his line of work even from his first day of post-secondary education. When he is not at work, Kevin enjoys engaging in a wide range of outdoor activities including running and cycling. Naturally, he also loves spending time with his girlfriend and two children. As a proud supporter of the fight against breast cancer, Kevin also makes regular donations to a number of charitable organizations. 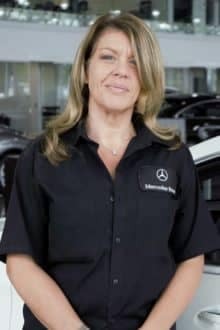 Having joined the automotive industry in 1999, Lori has been a loyal member of the Mercedes-Benz London team since February 2016. Prior to joining the industry, Lori had a career in real estate. 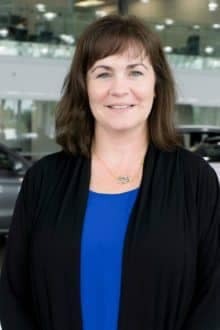 At the dealership, Lori brings her bubbly personality and knows exactly how to make everyone smile. When not at work, she enjoys spending time with her husband Tony, son Devin and their dog, Murphy. She enjoys watching Devin’s hockey games, as he has played for West London Hawks since he was four and now plays recreationally in College. But as she absolutely loves to travel, the summers are spent touring around with her husband on their motorcycles. In addition, Lori supports the Alzheimer’s Society as it is a cause that’s very close to her heart. 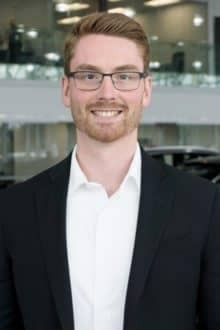 Jacob is a born and raised Londoner and has been in the automotive industry since 2011. 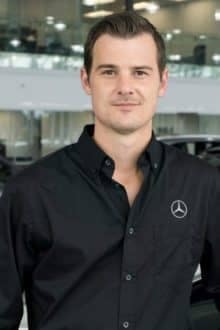 He joined the Mercedes-Benz London team in June 2016. 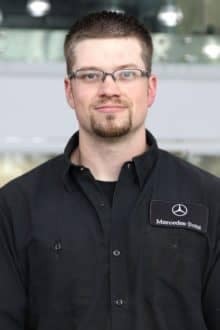 With all of his expertise as a licensed automotive service technician, Jacob is passionate about sharing his skills and knowledge with others. 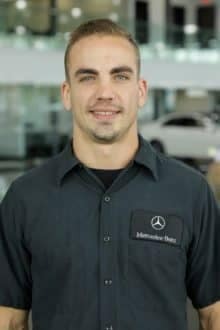 He recently moved on to the position of Service Advisor and continues to focus on furthering his education. He most recently completed a certificate in Adult Education and Staff Training. In his spare time, Jacob enjoys spending time with his friends and has recently taken up golf. 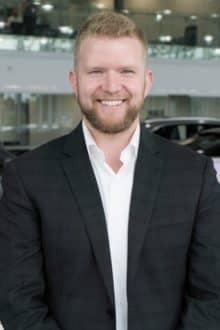 While Finchy may be the youngest member of the Finch Auto Group Executive Team, he makes up for his lack of experience with unparalleled enthusiasm. 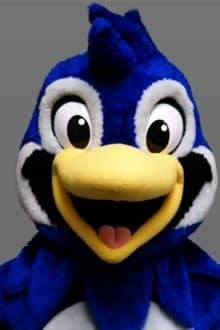 Finchy joined our team in 2016 when the high-energy blue finch took on the position of VP Fun. Since then, his passion for delivering high-quality customer experiences and cheering on the London Knights has been absolutely contagious. 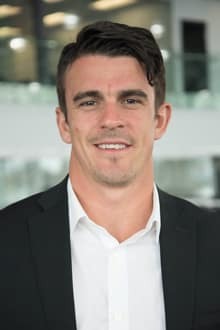 If you’ve attended a Knights home game recently, there’s a good chance that you and Finchy have already shared a firm high-five. Maybe you’ve even had your picture taken with this big bird; he’s very photogenic. If you haven’t already met Finchy, you’ll likely run into him soon at Bud Gardens or at any number of other community events. In the meantime, feel free to keep tabs on Finchy’s ongoing adventures by following him on Instagram. 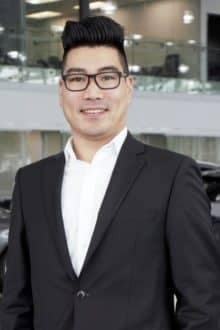 Tony Yang has been in the automotive industry since 2010, having spent his entire automotive career with Mercedes-Benz London. 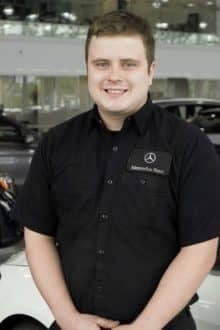 Nonetheless, his prior work experience certainly helped him seamlessly transition into the modern world of car sales. Tony graduated from the University of Western Ontario with a degree in economics before taking a job in the Tech industry, most recently working for Sony. 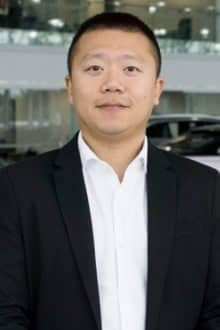 In today’s world where cars are becoming increasingly technologically-oriented, no one can help customers navigate this wave of technology better than Tony. When away from work, Tony enjoys playing golf and spending time with his girlfriend. He also enjoys keeping up with the newest advancements in technology and playing vintage video games. 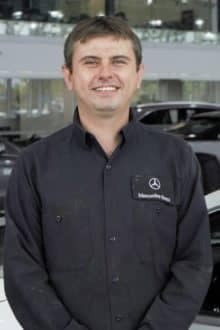 Mike has been with Mercedes-Benz London since February 2013. 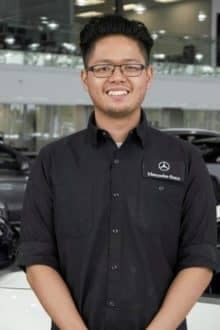 He has always had a passion for cars and joining the Mercedes Benz team was an opportunity to work with one of the top car manufacturing brands out there. 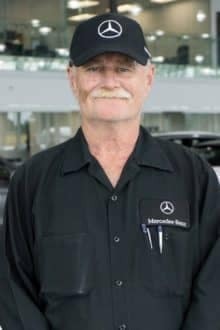 What he enjoys most about his work is seeing the happiness on a customer’s face as they pick up their new Mercedes Benz vehicle. 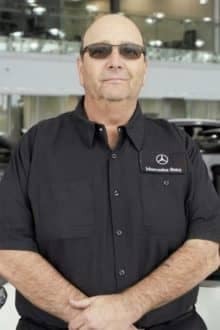 Mike truly cares for his customers and patiently listens to what they’re looking for in a vehicle. 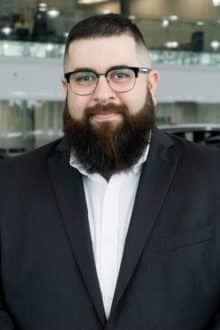 He enjoys helping each customer figure out what car is best for their needs and helping them achieve that goal. Mike spends his spare time long-distance running. He ran several marathons throughout the years and he stays consistent with his training. However, Mike also enjoys golf and loves being involved in his kids’ sports activities as well. 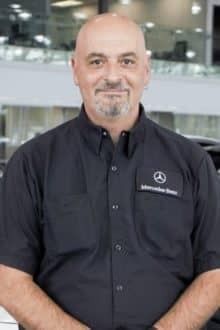 Charbel has been a part of the Mercedes team since March 2015, after spending twelve years working at Goodlife Fitness. 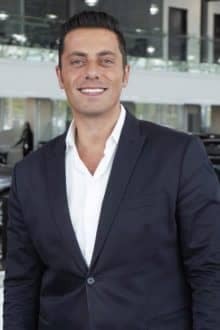 Although he met some incredible people and was able to personally affect his customers’ lives, Charbel left his Management post with Goodlife to try a different industry and expand his knowledge. 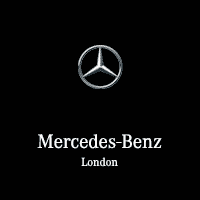 After doing some research, Charbel was drawn to Mercedes as the best luxury car manufacturer in the world. He absolutely loves the brand and everything they stand for, and he strives to bring his passion and expertise to his customers. In his spare time, Charbel loves to keep active at the gym and cooking. But he would rather spend all of his spare time with his two outstanding kids, who truly are his inspiration. They always have a lot of fun together no matter what they do and he continues to learn and grow alongside them. 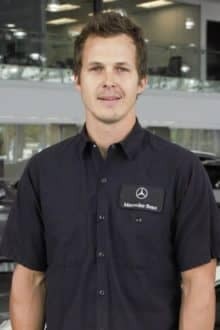 Ryan has been in the retail business since 2007, moving from clothing to furniture and then into the automotive field. He spent four and a half years working at Urban Barn, where he achieved the 4th highest sales in the company. 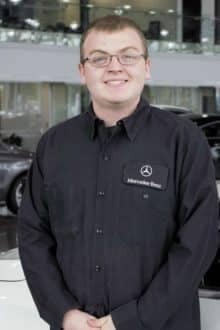 Ryan now brings the same passion into his work at Mercedes-Benz London. 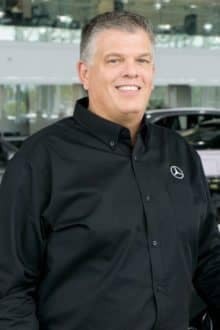 It was the Mercedes brand itself that drew him to the industry, but he particularly loved the fact that Finch is a family run group that takes great care of their employees. In his free time, Ryan enjoys weightlifting and playing video games. But most of all, he loves trying new foods, and spending time with his wife Lindi and their mini bulldog Duke. 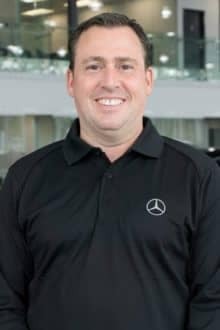 As our resident MB Van Specialist, Ridley is the man to talk to if you find yourself curious about a Mercedes-Benz Sprinter or Metris van. 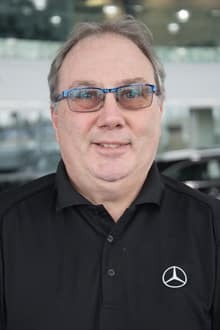 Although he has worked for Mercedes-Benz London since 2009, Ridley’s automotive experience stretches far beyond that, having worked in the business for well over two decades. In his spare time, Ridley enjoys watching and playing sports including baseball, golf and hockey. He is also happily married to his wife of 25+ years and a proud father of three. Together, Ridley and his family are devoted supporters of London’s Children’s Hospital.